Lonely Planet is both a blessing and a burden. 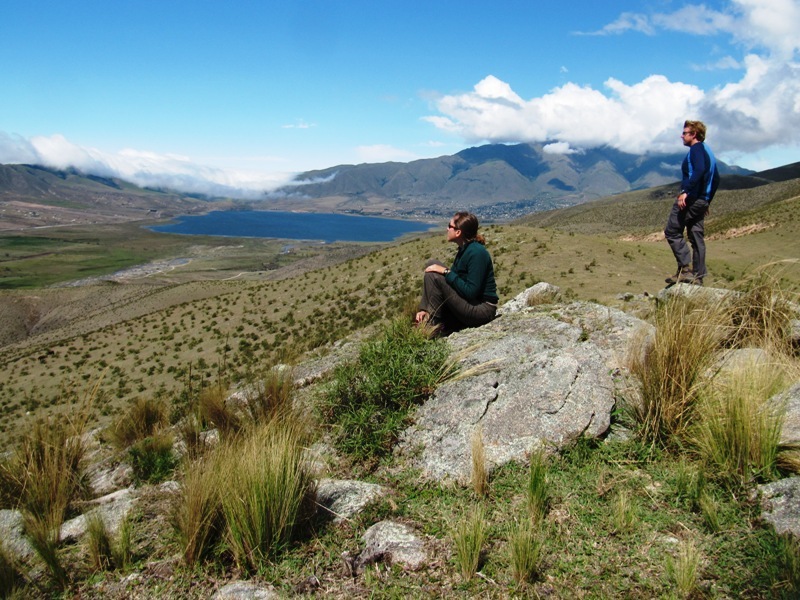 Their South America on a Shoestring guide is basically the travel bible for the continent. It is packed with information you need from bus times and costs to great places to pick up empanadas. Some people don’t “do” Lonely Planet to make themselves feel like more original travelers. Nathan and I still find it valuable to check out their recommendations but keep our eyes open for serendipitous discoveries as well. At the same time, depending on a single text means that you end up where all the other gringos go. But just when you think you are going to chuck the heavy book from your backpack, along comes an “our pick.” These are supposed to signify an extra special find. Not all cities have such an accolade; they are actually few and far between. 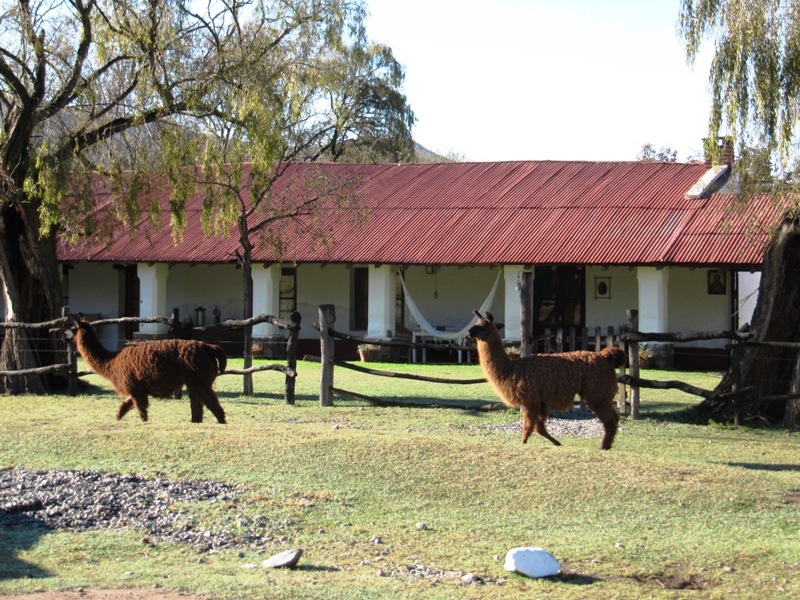 So I took note when the small mountain town of Tafí del Valle had an “our pick” hotel called Estancia Los Cuartos. It was wonderful. The estancia was an old ranch house from the 1700’s. 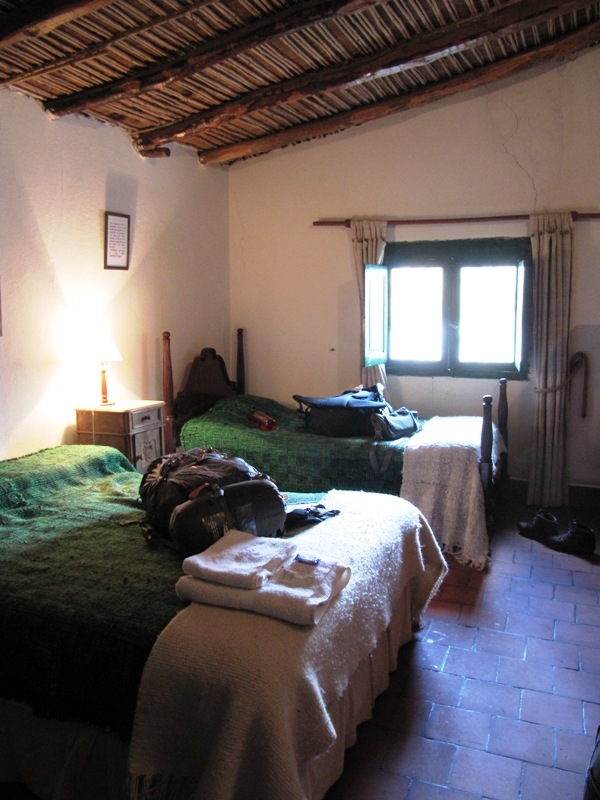 Our room came with thick walls, a stone floor, dark wood book cases, a thatched roof and warm blankets. I love history and it felt like I had stepped back in time a bit. There were a few key modern amenities, such as a heater. A nice touch since it rained heavily for part of our stay. 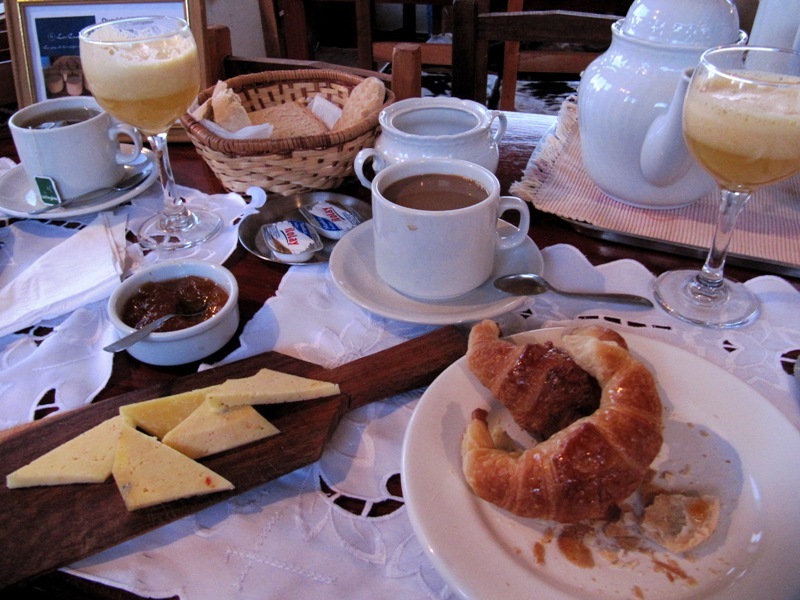 Another highlight of the estancia was breakfast. The dining room overlooked the beautiful mountain scenery. We enjoyed the typical courses of coffee, bread and jam but the best part was the homemade cheeses. Tafí is known for its cheeses, which are modeled after a Spanish-style manchego (one of my favorites!). Each year, the town hosts the national cheese festival. We missed the festival but did indulge in a large block of cheese, which we enjoyed with a rosé we brought from Mendoza. In addition to good cheese, the main strip of Tafí has a few good parrillas. We stopped into one that had a nice fire built in the front with meat roasting above it. Their specialty was chivito (goat). We ordered a grill plate for two which came heaped with chunks of juicy meat and delicious, crispy slices of potato. Truly some of the best potatoes I’ve ever had. 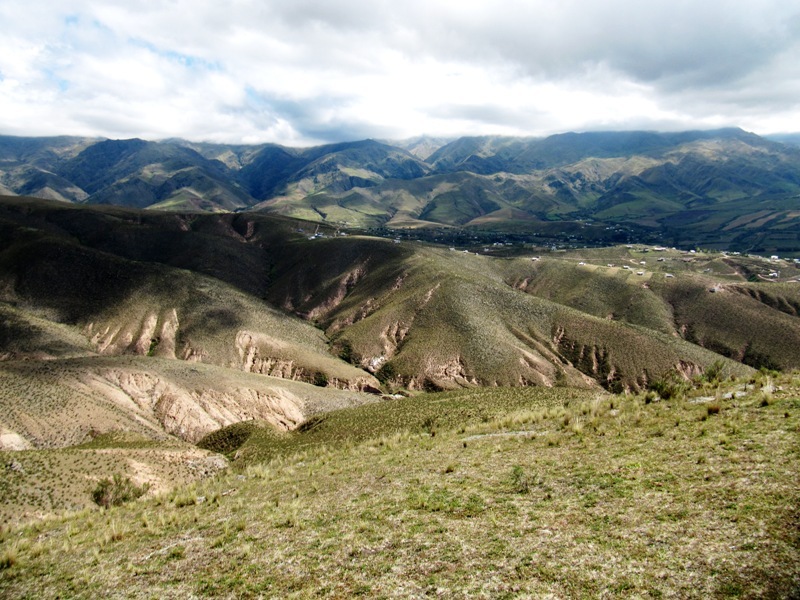 We needed to work off all these heavy meals so we did a nice hike to the cerro de la cruz (peak of the cross). From here we could look over the town and the nearby lake. 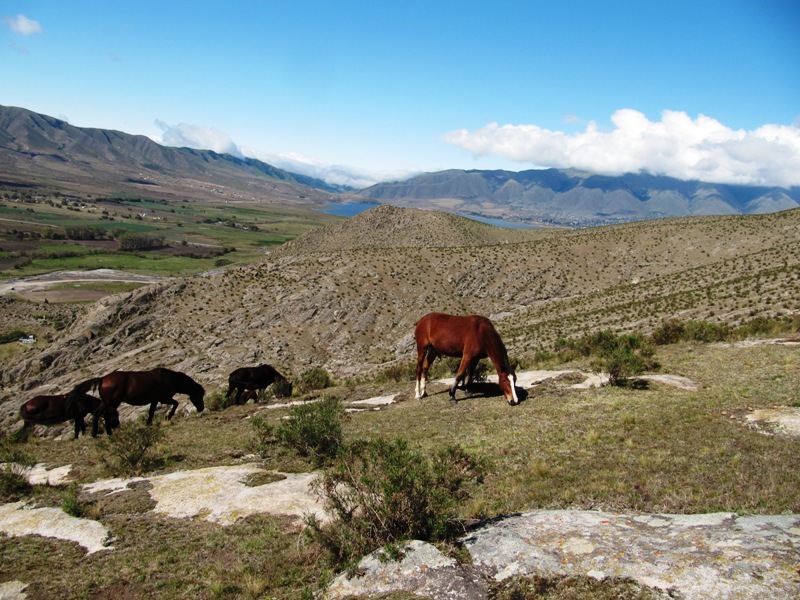 Herds of free roaming horses grazed nearby. Seriously, how much more idyllic can you get? At least for me, it was a blissful weekend.